Nothing protects you on the road like knowledge and experience. 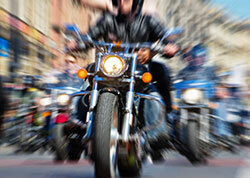 Gain both with motorcycle training classes. As the state's designated motorcycle safety training center, we offer courses throughout the state to help motorcyclists prepare for their license tests. We also administer the license test as the final step in our courses. Online registration is easy and secure. Classes run April through October. Each year the schedule will be posted by mid-March. *By clicking the online registration link you will leave the main South Dakota Safety Council site. Classes are offered by the South Dakota Safety Council through a contract with the South Dakota Department of Public Safety.